Every summer we have a tradition of offering readers a healthy selection of great books for your summer reading lists. We invite contributors to choose their favorite social movements/protest-related book of the past couple years, whether scholarly, activist, or fiction, and write a short review. In past years, the selection of books has been diverse, and we hope to offer something of interest to everyone. Why and under what conditions do people mobilize collectively? What are the barriers they face when they try to mobilize, and why might they vary? How do these barriers to mobilization shape the organizations that are trying to mobilize people? These are among the biggest questions that scholars of social movements face, no matter what the empirical focus of their work might be. Amarasingam, Amarnath. 2015. Pain, Pride, and Politics: Social Movement Activism and the Sri Lankan Tamil Diaspora in Canada. Athens, GA: University of Georgia Press. Zimmer, Kenyon. 2015. Immigrants Against the State: Yiddish and Italian Anarchism in America. Urbana, Chicago, and Springfield: University of Illinois Press. White, Heather R. 2015. 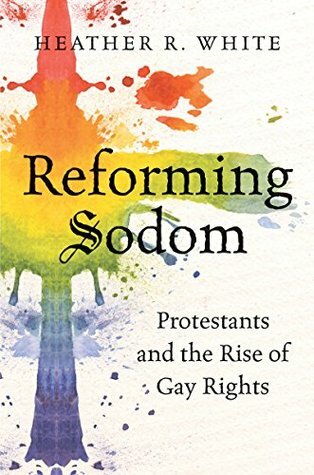 Reforming Sodom: Protestants and the Rise of Gay Rights. Chapel Hill, NC: University of North Carolina Press.